I'm always a sucker for a good fairy tale retelling. I like seeing how different authors take the same basic story and make it their own. My favorite movie when I was very young was Disney's Sleeping Beauty. I would watch it over and over again every day (scanning through the parts with Maleficent's henchmen because they frightened me! ), so the Sleeping Beauty story holds a special place in my heart. The following are some authors' takes on the tale. Some I've read, some I haven't. 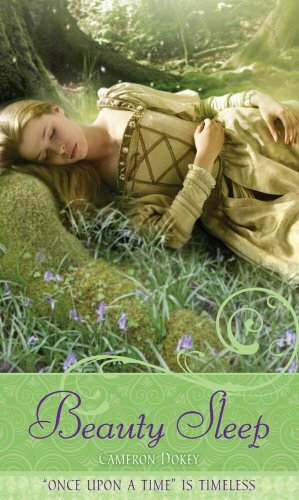 Part of the Once Upon a Time series of fairy tale retellings, Beauty Sleep is a completely unique twist on the classic tale. The set up is familiar enough (bad fairy not invited, curses child, good fairy changes curse of death to curse of sleep), but the resolution is what makes this story different.The ending is a really original spin on how the curse plays out, an ending that I found wholly satisfying. 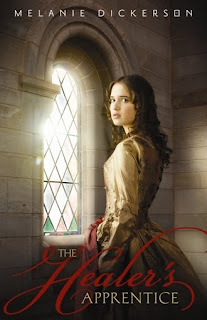 Much of the story is spent following Princess Aurore's life in her castle and her relationship with her cousin who is a complicated and likable man. You really get to know Aurore in this version, and I found myself liking her very much. While this is a short book, there are no less than three parts that really touched me, and one that even made me cry a little. I highly recommend this one as both a touching story in its own right and an interesting retelling. I haven't read this one, but I remember loving Jane Yolen when I was younger. 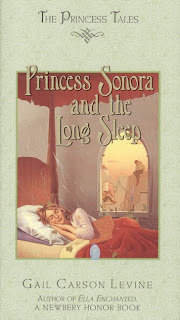 Set in modern times, this story alternates narration between the princess Talia, who has slept through the last 300 years, and the definitely-not-a-prince Jack, who had the misfortune of waking up Talia and her entire kingdom. Will Jack and Talia fall in love? Can Talia and her kingdom adapt to living in the 21st century? To complicate matters further, neither characters' parents are too keen on the situation and the witch that created the curse isn't satisfied with it's outcome. Both characters start out as aimless and bratty teenagers but grow through the story by seeing themselves and their actions through the eyes of one another. 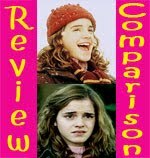 Despite their bratty starts, both characters are likable and have distinct voices. I laughed out loud a number of times (the scene at the modeling agency was great!) 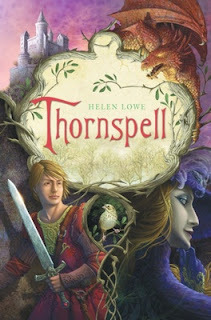 and enjoyed this Flinn offering even more than her previous fairy tale retelling, Beastly. Definitely recommended. I haven't read this one either, but it sounds interesting. Her terrifying dreams are nothing compared to the all-too-real nightmare that awaits. . . .Ever since sixteen-year-old Rose DuBois woke up from months in a coma with absolutely no memories, she’s had to start from scratch. She knows she loves her two aunts who take care of her, and that they all used to live in France, but everything else from her life before is a blank.Rose tries to push through the memory gaps and start her new life, attending high school and living in Boston with her aunts, who have seriously old world ideas. Especially when it comes to boys. But despite their seemingly irrational fears and odd superstitions, they insist Rose not worry about the eerie dreams she’s having, vivid nightmares that she comes to realize are strangely like the fairy tale Sleeping Beauty. The evil witch, the friendly fairies, a curse that puts an entire town to sleep—Rose relives the frightening story every night. And when a mysterious raven-haired woman starts following her, Rose begins to wonder if she is the dormant princess. And now that she’s awake, she’s in terrible, terrible danger. . . .
Sleeping Beauty isn't the protagonist of this version. She spends most of the time sleeping. Instead, her younger sister Annie steals the show as she sets out to try to undo the curse and find a prince to kiss her sister. Annie is immune to magic, so a lot of funny scenes ensue as other fairy tale people try to cast spells on her. While Sleeping Beauty is the main focus of this story, a whole host of other fairy tales are also included. I laughed my way through this book. Annie and Liam, the castle guard who accompanies her, are both very likable characters who break the stereotypical molds of "tough girl" and her guy. I started reading this one but didn't get very far. I don't have any complaints about the book (other than the beginning seemed kind of slow), but I think I just wasn't in the right mood at the time. I did like that this one is from the point of view of the prince.The cover is also pretty neat looking. PRINCE SIGISMUND HAS grown up in a remote castle, dreaming of going on heroic knightly quests while staring out at the forbidden wood that looms to the west. His great-grandfather placed an interdict on the wood nearly 100 years ago, though no one seems to know exactly why. 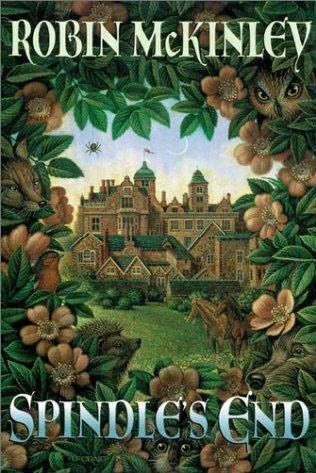 But for those still young or credulous enough to believe in magic, the rumors and stories abound—of an enchanted castle and a sleeping princess cursed by an evil faie. Helen Lowe has spun a grand, adventurous, romantic tale about the prince destined to wake the sleeping princess. This thoughtful hero must delve into a world of mystery and magic to discover the truth of his own fate. Enemies with powers he never imagined abound, sometimes hiding behind a mask of friendship. And an elusive girl haunts his dreams—is she helping him or binding him tighter into a thorny cage? For Sigismund, the truth turns out to be more fantastical than any story he’s ever heard. I've never read a Robin McKinley book before (*gasp* I know!) so I haven't read this one either. I haven't read this story, but I have read other books by Gail Carson Levine and I've loved them. This one sounds really cute from the description. A spiteful fairy. A beautiful princess. An outstretched finger. A spindle. A hundred year snooze. A charming prince. A kiss. All the familiar ingredients. But wait! Where did that extra prince come from? And those fairy gifts that have never been there before? And what does a flock of balding sheep have to do with anything? Gail Carson Levine has waved her magic wand over this old standby, and presto! 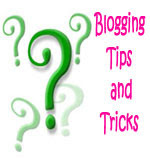 It reappears, transformed—new, sparking, and funny! Hoots and guffaws are likely, chuckles and giggles are guaranteed. In this third of her Princess Tales, Levine shows a precocious but lovable girl taking control of a destiny she never asked for, with hilarious and happily-ever-after results. 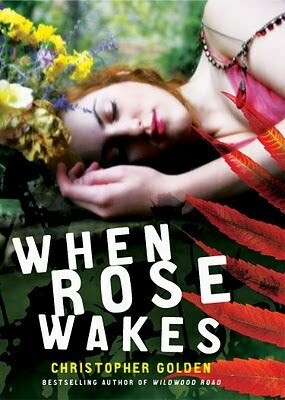 I'm not really sure I see how this one is a retelling, but I've heard that it is a loose retelling of Sleeping Beauty. I have it on order, so I suppose I'll find out soon enough. The plot sounds interesting, and that cover is so pretty. Two Hearts. One Hope. Rose has been appointed as a healer's apprentice at Hagenheim Castle, a rare opportunity for a woodcutter's daughter like her. While she often feels uneasy at the sight of blood, Rose is determined to prove herself capable. Failure will mean returning home to marry the aging bachelor her mother has chosen for her---a bloated, disgusting merchant who makes Rose feel ill. When Lord Hamlin, the future duke, is injured, it is Rose who must tend to him. As she works to heal his wound, she begins to understand emotions she's never felt before and wonders if he feels the same. But falling in love is forbidden, as Lord Hamlin is betrothed to a mysterious young woman in hiding. As Rose's life spins toward confusion, she must take the first steps on a journey to discover her own destiny. Have you read any Sleeping Beauty retellings? What did you think of them? I've read Sheri Tepper's Beauty. It's a retelling of Sleeping Beauty and a whole bunch of other fairy tales. It's pretty dark though. I really liked what she did to the original stories though. I have ALL of those books on my to-read list and haven't read any of them yet. D'oh. >_<. Love this post! I'm such a huge fan of fairytales and always have been:) I think Beauty and the Beast is my favorite, but I adore Sleeping Beauty as well. 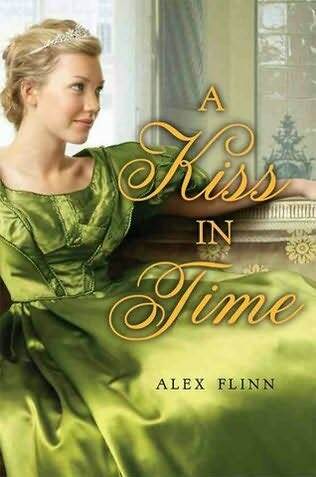 I just finished A Kiss in Time not too long ago and loved it, I can't wait to read his other fairytale retellings! I haven't read any retellings but I think it's a really neat idea to do a twist on an old story kind of like Clueless is on Jane Austen's Emma. I haven't read any of these, but now I'm curious about Spindle's End, The Healer's Apprentice, and Beauty Sleep! All three books need to go on my TBR list! Oh, I just love the sound of Briar Rose!! I've actually never read any of these - what a great post! You know, I would definitely be willing to give Alex Flinn another chance even though I wasn't in love with Beastly. I loved watching Sleeping Beauty as a kid too. I just finished a 30 Days meme of Disney themed questions and when it came to favorite villain there was no question that Maleficent would be the choice! 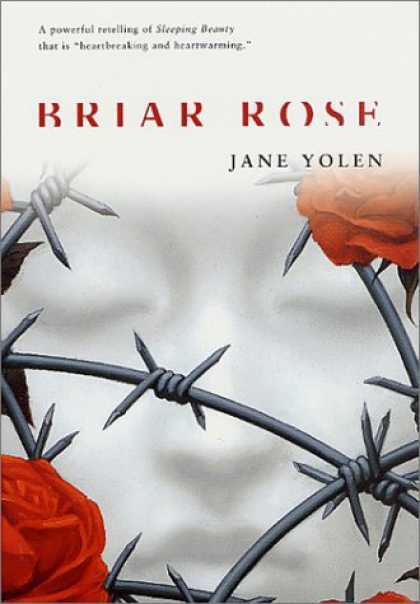 I've been wanting to read Briar Rose. Beauty Sleep sounds interesting so I'm putting a hold on it... I can't think of any novels that retell it that I've read (but my memory may be faulty), however, I have read a manga series that includes it. Have you heard of Ludwig Kakumei? It's a series of twisted fairy tales that all are somehow connnected to Prince Ludwig, who has a bit of a necrophilia streak. Sleeping Beauty shows up at one point. You can find it at OneManga.com if you are interested. I love fairy tale retellings and Sleeping Beauty is among my favorites. I thought Kiss In Time was cute! Need Tea, Sheri Tepper is a name that sounds so familiar, but I don't recognize any of her books. The retelling you mention does sound very dark. Jenny, stay tuned, I'll have a Beauty and the Beast Spotlight soon enough. I'm sure I'll miss and bunch that you can fill me in on. I think Alex Flinn is a woman, but I think I read at least one of her books before figuring that out. Lisa and Alice, I loved Clueless! I do love seeing how different authors take an established story and make it their own. My favorites are the ones where they keep all the main elements but also find a way to make the story uniquely their own. Laura and Linds, Glad you found some books to check out! I'll be curious to hear what you think of them. Aylee, Go for it! I wasn't in love with Beastly. I thought it was ok, but that's about it. I am looking forward to the movie. I enjoyed A Kiss in Time much more (but the epilogue was kind of silly, I thought). Moony, Maleficent is my absolute favorite Disney villain! I hope you like Beauty Sleep. I'll be interested in your review. I haven't heard of Ludwig Kakumei, but I'll be adding it to my list of things to check out. Thanks! Alyssa, I thought it was cute too. :) Thanks for the follow! What a cool post! I had no idea there were so many Sleeping Beauty retellings. I haven't read any, but I'd only heard of the McKinley one. Thanks for the follow! I'm glad you enjoyed the post. 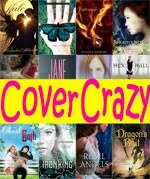 There are even more retellings than these, if you can believe it! I haven't read most of them. I'm so glad you enjoyed the post. Thanks for the follow! No Way! I had no clue there were so many retold Sleeping Beauty stories out there, though it should have been easy to guess. I got curious when I saw the link on last post I was on. The only retold Sleeping Beauty stories I've read is the one by Anne Rice which are so bizarre, and definitely for adults only! There are even more than this! Oh yeah, I've read those Anne Rice books. I saw a friend reading one and I thought, well, I like Sleeping Beauty. Boy was I surprised! Beauty Sleep was published 14 years ago and here I am looking for a review :'D Hope I can still find the paperback. I hope you can! My library recently purchased a copy, so maybe you can find one in your local library, too!